The groups which claimed to have five million registered members comprising transport workers, tricycle and okada operators, market men and women among others, said they had lost confidence in the ability of Buhari to pull Nigeria out of the pity of poverty and underdevelopment. The groups said, “Nigeria’s economy which was the fastest-growing economy in Africa has gone comatose due to mismanagement. The groups further stated that: “Unemployment has risen to an alarming level instead of reducing as was promised during 2015 campaigns. Millions of jobs are being lost quarterly, with many SMEs folding up due to unfriendly economic policies and harsh business environment. Hey Buddy!, I found this information for you: "Buhari Loses 59 Support Groups As They All Declare For Atiku". 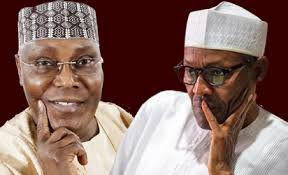 Here is the website link: https://headlinenews365.com/buhari-loses-59-support-groups-as-they-all-declare-for-atiku/. Thank you.